The purpose of this website is to provide information about effective treatments for psychological disorders. The website is meant for a wide audience, including the general public, practitioners, researchers, and students. 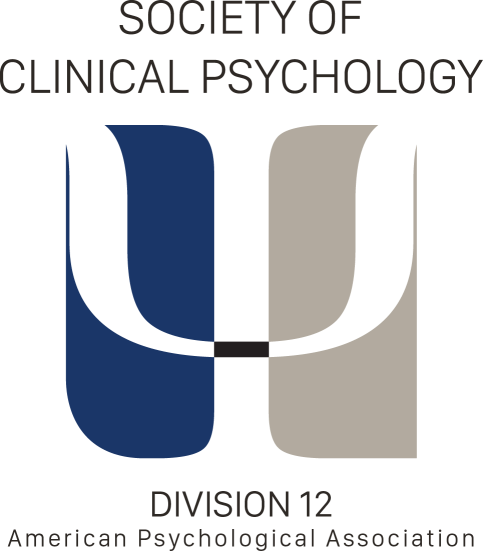 Our aim is similar to that of other notable organizations promoting evidence-based psychological treatments, including the National Institute for Health and Clinical Excellence (NICE) in England and the National Registry of Evidence-Based Programs and Practices (NREPP), which is sponsored by the United States Substance and Mental Health Services Administration (SAMHSA). How is this website related to the original list of empirically-supported treatments? This Division 12 website is an updated, online version of the original list of empirically-supported treatments. The original list was published in 1995 as part of a Division 12 Task Force report, and the list was updated several times over the next few years. However, approximately 15 years elapsed since the last update, creating the need for an updated version amenable to frequent revisions. The online nature of this website will allow for regular updates. Where can I find the original EST documents produced by Division 12? The original EST documents can be found here. How is research support defined? There are many definitions of research support and many approaches one could take to characterize the level of research support for psychological treatments. This website relied on the criteria outlined by Chambless et al. (1998). These criteria require treatments to be efficacious in randomized controlled trials (RCTs) or their logical equivalents. As in all health care, psychologists are dedicated to verifying the effects of their treatments on the targeted health problems. While many types of studies can help evaluate the benefits and safety of treatments, only RCTs and their logical equivalents afford strong causal inferences. What is “strong” and “modest” research support? Research support for a given treatment is labeled “strong” if criteria are met for what Chambless et al. (1998) termed “well-established” treatments. To meet this standard, well-designed studies conducted by independent investigators must converge to support a treatment’s efficacy. Research support is labeled “modest” if criteria are met for what Chambless et al. (1998) termed “probably efficacious treatments.” To meet this standard, one well-designed study or two or more adequately designed studies must support a treatment’s efficacy. In addition, it is possible for the “strong and “modest” thresholds to be met through a series of carefully controlled single-case studies. For a full description of the Chambless criteria readers are referred to Chambless et al. (1998). In addition, this site labels research support “controversial” if studies of a given treatment yield conflicting results or if a treatment is efficacious but claims about why the treatment works are at odds with the research evidence. Do all psychologists agree on which treatments are supported by research? Beutler, L.E. (1998). Identifying empirically supported treatments: What if we didn’t? Journal of Consulting and Clinical Psychology, 66, 113-120. Borkovec, T.D. & Costonguay, L.G. (1998). What is the scientific meaning of empirically supported therapy? Journal of Consulting and Clinical Psychology, 66, 136-142. Goldfried, M.R. & Wolfe, B.E. (1998). Toward a more clinically valid approach to therapy research. Journal of Consulting and Clinical Psychology, 66,143-150. Herbert, J.D. (2003). The science and practice of empirically supported treatments. Behavior Modification, 27, 412-430. Norcross, J.D. (1999). Collegially validated limitations of empirically validated treatments. Clinical Psychology: Science and Practice, 6, 472-476. Persons, J.B. & Silberschatz, G. (1998). Are results of randomized controlled trials useful to psychotherapists? Journal of Consulting and Clinical Psychology, 66, 126-135. Spring, B. et al. (2005). Invitation to a dialogue between researchers and clinicians about evidence-based behavioral medicine. Annals of Behavioral Medicine, 30, 125-137. Wampold, B.E. (2001). The great psychotherapy debate: Models, methods, and findings. Lawrence Erlbaum Publishers, Mahwah, NJ. Is the method of treatment the only component that determines the effectiveness of treatment? No, certainly not. The client, the therapist, and the therapeutic relationship are among factors that also contribute to effective treatment. In providing information on research-supported psychological treatments we do not intend to devalue the importance of these other factors. Are there other compilations of research-supported treatments for mental health and addictions? Yes. This website includes links to many of these resources. Will this website be updated? Yes. In 2007, in her capacity as Division 12 President, Marsha Linehan asked the Committee on Science and Practice to develop an online version of the research-supported treatments list. The online format is meant both to facilitate dissemination and to be easily revised in response to new research findings. In 2008, the Division 12 board voted to indefinitely fund, maintain, and update the website. Can I provide feedback or suggest a revision to the website? Yes. The literature on psychological treatments is vast and new findings are constantly emerging. Therefore, we plan to update the website frequently. We view feedback from clinical psychologists and other mental health professionals as an important source of information to guide updates. If you have a suggestion, please provide feedback to the website editor via email.